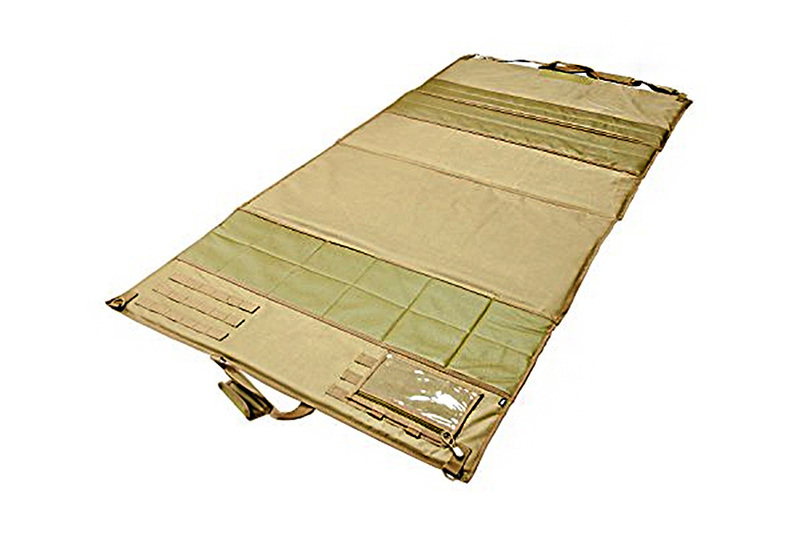 VISM 4 panel padded shooter's mat. Dimensions are: 72x36 inches and 1/2 inch thick closed cell foam. Folds and clips for easy carry. 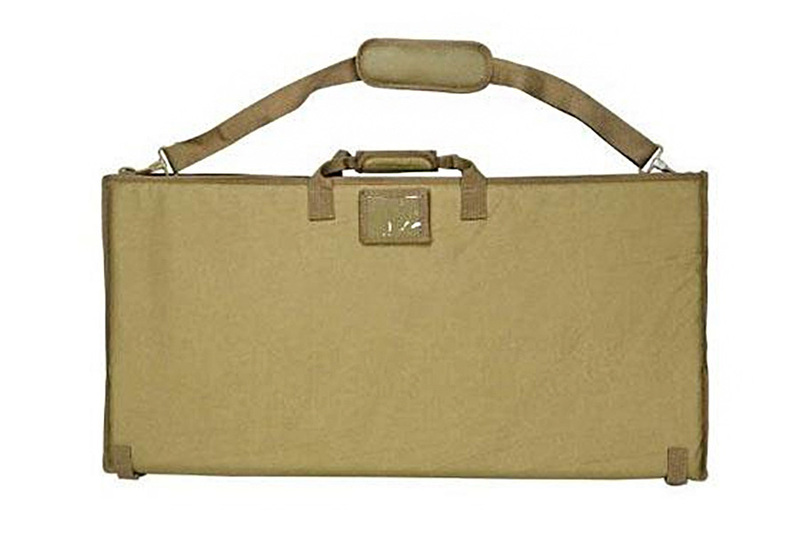 Tan, Dark earth color. MFG part# CSHM2938T. New. Quality Product. Very popular with my 4H BB Gun class. Good product for the price. Very well made ,could be a little thicker but that's just my old bones talking ! Seems to be well constructed and durable, I haven't used it yet though.